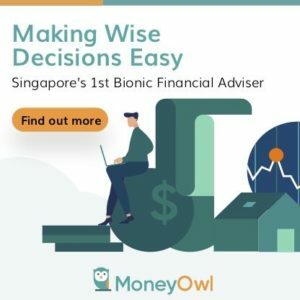 My friend, CIMB broker Hayden Huang, shared with me his analysis, which have a fair bit of reservations against Wharf REIC. So I will post them here. Wharf REIC is the full collection of Wheelock’s 999 years investment property heirloom in Hong Kong. Interest rate risk. Any interest rate hike may lead to an expansion in the capitalization rate and in turn adversely affect the stock’s valuation. 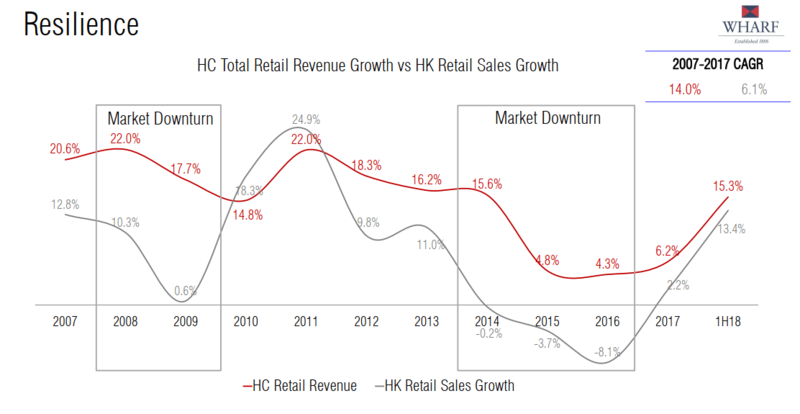 Retail Rental Trend in Hong Kong. There was a serious dip in rental rates i 2014 onwards due to China corruption crack down. Some say that the figures have bottomed out but it really depends on the RMB trends and US-Sino relations. Since rental rates are on the high side, we are likely to see only single digit revisions. Valuation. 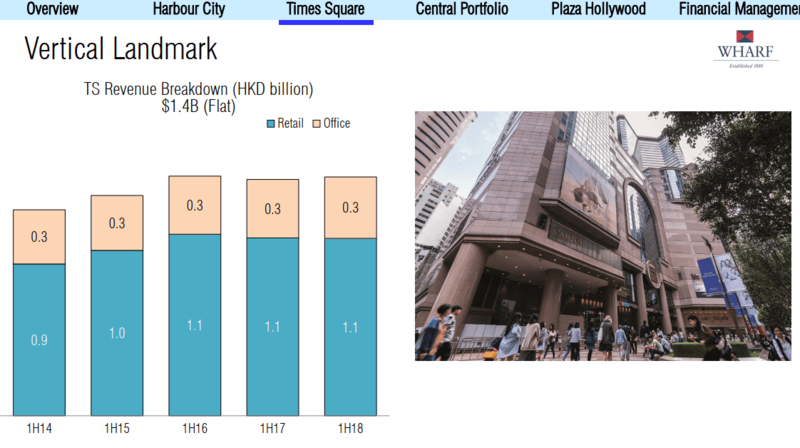 The valuation is not as compelling as compared with its competitors Swire, Hysan, Hong Kong Land. 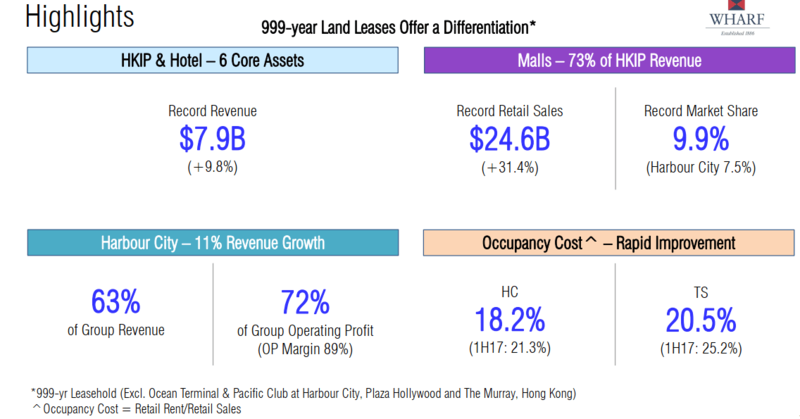 However, Wharf REIC is more Hong Kong focused and Semi-REIT (65% locked in payout ratio) with potential investment in greenfield sites. So valuation should be higher than Hong Kong investment property / developers. As their investment property is marked to market, the recent land sale by HNA showed quite a steep drop in land value. 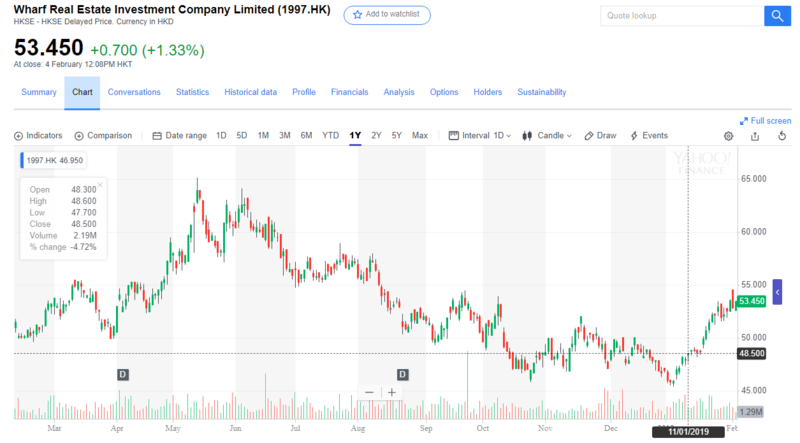 This may mean a correction in land value which indirectly mean the company’s fair value would change and the profit be affected. Concentration Risk. 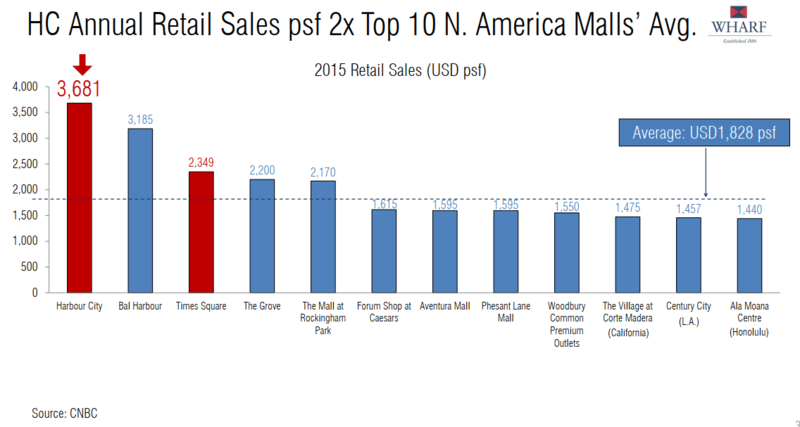 Bulk of the revenues are determined by 2 prime assets. Unlikely to see unlocking. Since these assets are considered as heirlooms, they are likely to be passed down for generations, which means the probability of sale is very low. Potential Catalyst. 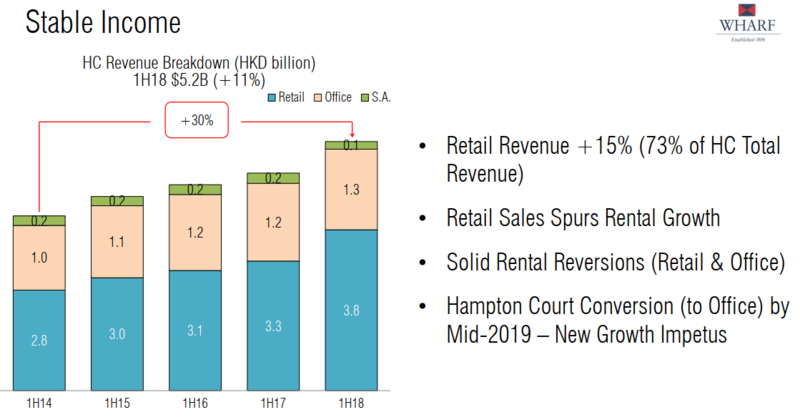 If they sell their remaining China hotel assets through HCDL (Wharf REIC hotel assets are valued at cost less depreciation). They did mention about wanting to be a pure Hong Kong company during the spin off. If you would like to get in touch, to have a broker that has this Graham slant to add value, contact me and I will put you in touch with him. Parent company 0020 also another good choice..
Hi Kang Kai! thanks for the heads up. I think thats the leaning towards predictability. 0004 have to see the projects that they deal with.